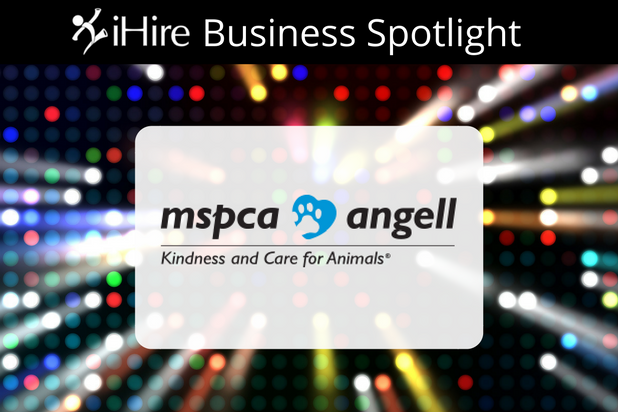 We are excited to shine the spotlight on MSPCA-Angell! One of the first humane organizations in America, MSPCA-Angell has seen vast changes in society, the environment, and the roles of animals in our lives. It has helped make laws and set standards that have fundamentally shaped their sense of kindness and care for animals – and for one another. Today, MSPCA-Angell continues to rescue, shelter, protect, heal, and advocate for more animals than any other American humane organization, giving hands-on care to thousands of animals each year. We caught up with Colleen Stanton, a Recruiter at MSPCA-Angell, to learn more about what makes MSPCA-Angell a great company to work for and get her advice on overcoming hiring challenges. Question: What makes MSPCA-Angell’s company culture unique? Why is MSPCA-Angell a special place to work? CS: Founded in 1916, MSPCA is the second-oldest humane organization in the country. We have a focus on protecting animals by advancing their health and welfare and our mission is to work towards a just and compassionate society. Our animal medical center, Angell, is cutting edge, expanding, and growing and absolutely one of the most innovative animal hospitals in the country. We have state-of-the-art equipment and techniques, a teaching environment, and a staff of interns, externs, technicians, and veterinarians. We have expanded to a second site, Angell West in Waltham, MA, to provide 24-hour emergency care in a more intimate setting for clients in the suburbs west of Boston. Angell offers free onsite continuing education classes and stipends for CVTs to attend conferences. All MSPCA and Angell employees are eligible for our tuition reimbursement program. MSPCA, Angell, and Angell West are all still growing and adding new positions! Question: What are the responsibilities of a Recruiter at MSPCA? CS: I write the job postings and ads as well as complete reference checks, telephone screenings, and exit interviews to ensure we are keeping our culture fresh and relevant. About 5 years ago, MSPCA adopted a values program. After interviewing every employee in every department, we came up the following: compassion, integrity, collaboration, excellence, service, and positivity. These are the values we look for in our applications – we want to find people who embrace these values. To honor our employees who exemplify these values, employees nominate each other for awards. We give away 6 awards on an annual basis. Think about it – you spend more time with your work mates than your family, and you want values that are important to you present in your workplace. This makes our workplace more collaborative and successful; every level of the organization has bought into and believes in our values. CS: Finding certified vet technicians and specialty vets for our two animal hospitals – there are just not enough CVTs in the world. Angell departments include dermatology, oncology, pain management, ophthalmology, surgery, pharmacy, and anesthesia. We like to hire people for the long term. Technicians who come in and learn more eventually move to other departments. Many of our Angell and Angell West departments are run by technicians who have gone into management. There is always something else our employees can challenge themselves with. CS: It’s all about the job ad and explaining the job in your own words – it has to be short, succinct, and important enough that someone outside of the organization can get a feel for the organization and the open position in a few short paragraphs, as well as get a flavor for what the job is about on a day-to-day basis. Interested in employment opportunities with MSPCA-Angell? Check out their open positions and apply today!